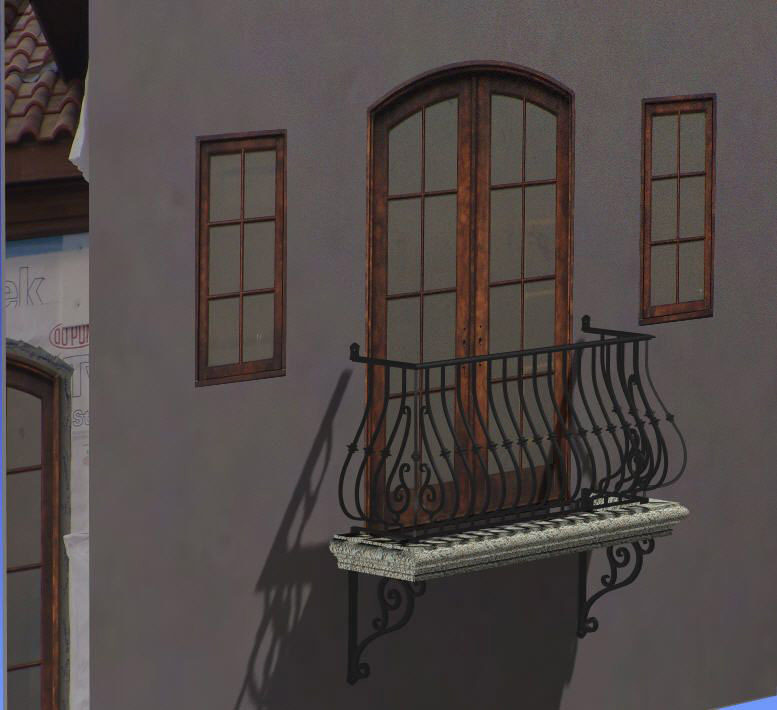 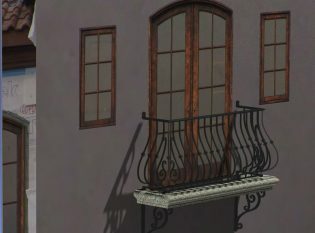 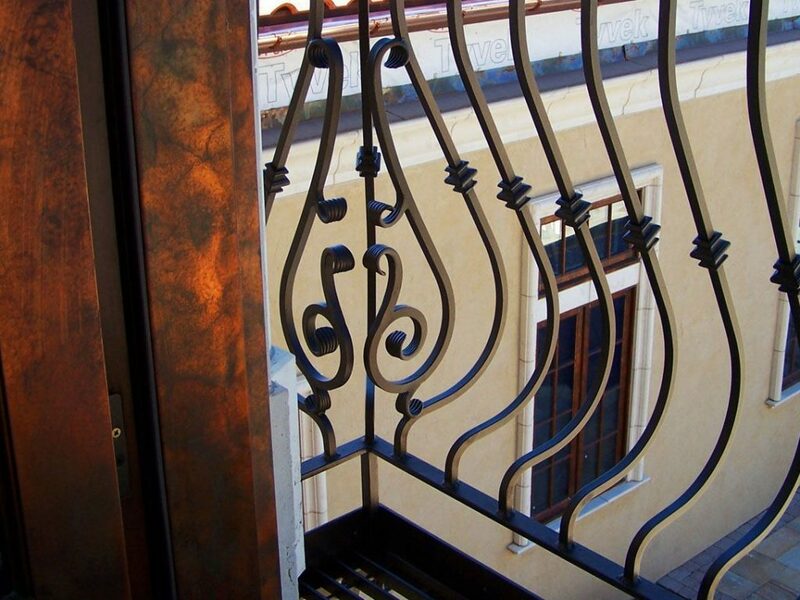 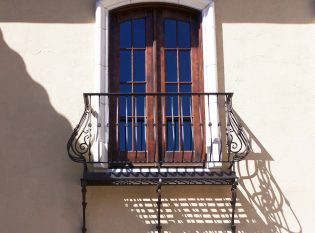 Material and Finish: Hand-forged iron railing with blackened steel and wax finish. This Tuscan-style home features an arched doorway and a Keuka Studios hand-forged and scrolled balcony. 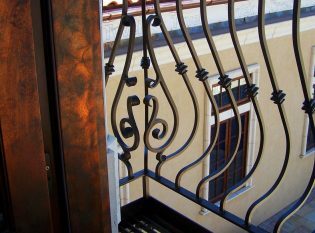 We custom made the balcony platform and galvanized the iron before sending it off for powder coating, providing extra corrosion resistance.